Monitor and improve your team's efficiency and balance the workload with utilization reports. Use historical data to spot important trends, like which months are the busiest for your company, who's on the bench, and which teams are overworked. 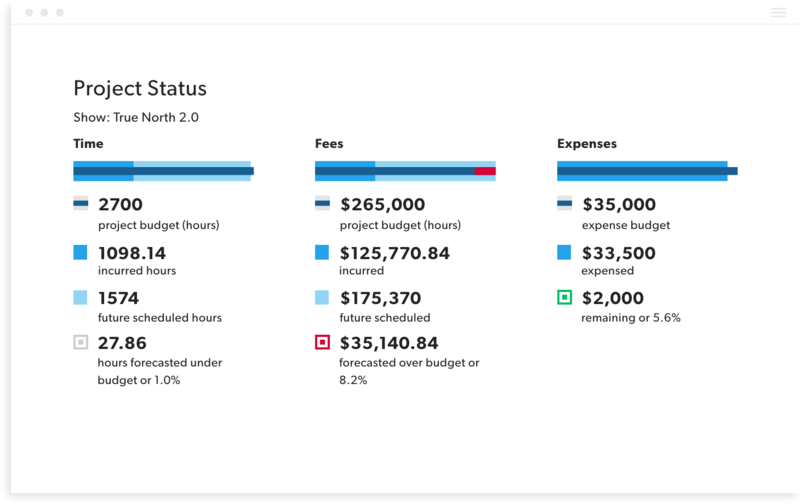 Real-time analytics helps you accurately visualize project performance, identify potential issues early on, and fix them before the project goes off the rails. 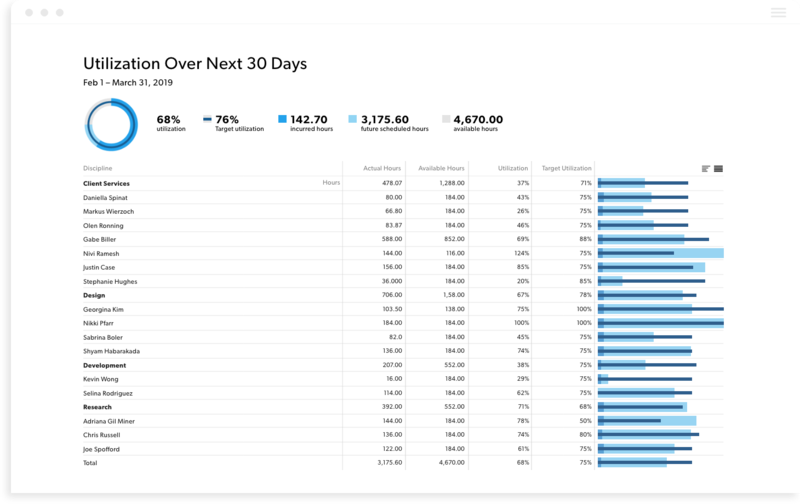 Create custom analytics reports by grouping and filtering the data to meet your needs. Save report templates so you and your team can quickly run them again. 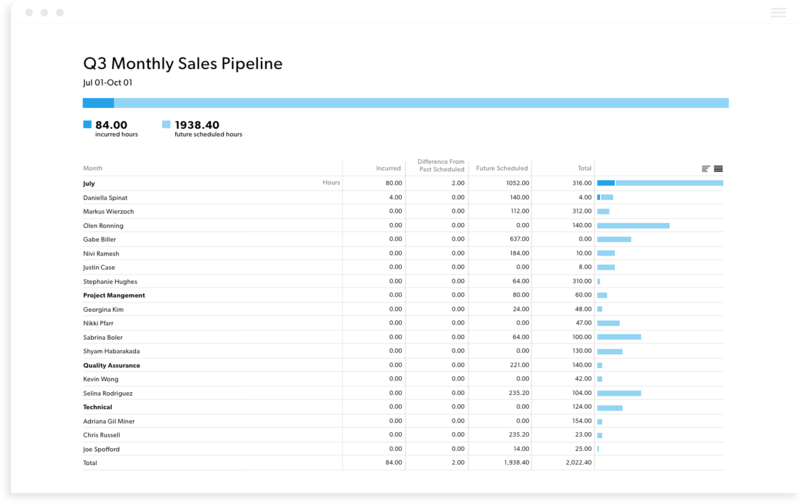 Easily share reporting dashboards with stakeholders to keep everyone on the same page. Use project reports to surface a month-by-month breakdown of all your currently scheduled work and all the work you're expected to win in the future, so you can confidently decide when to take on new work or hire another team member. Reporting shouldn't be complicated. 10,000ft gives you the data you need to keep your business moving forward. Get started now with a free trial.